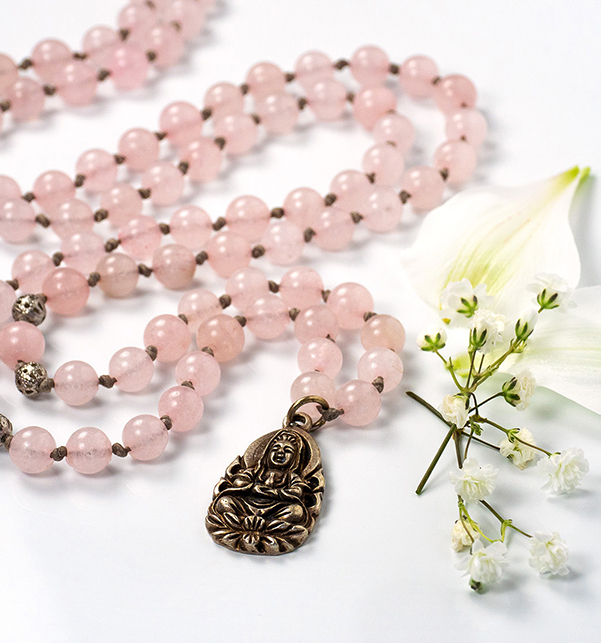 Rosequarz beads with brass Quan Yin amulet. 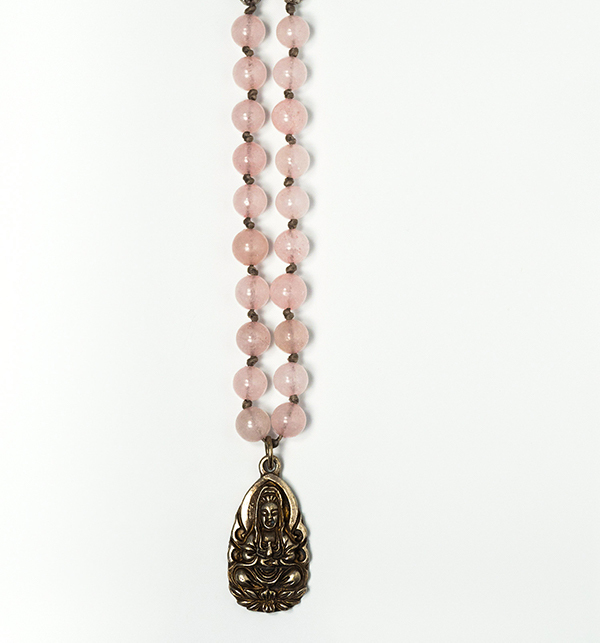 90 stone beads, length 55cm. Stone of love. Nurtures the heart and brings peace. Balancing and harmonizing soft energy eases heartache, teaches empathy and sensitivity. 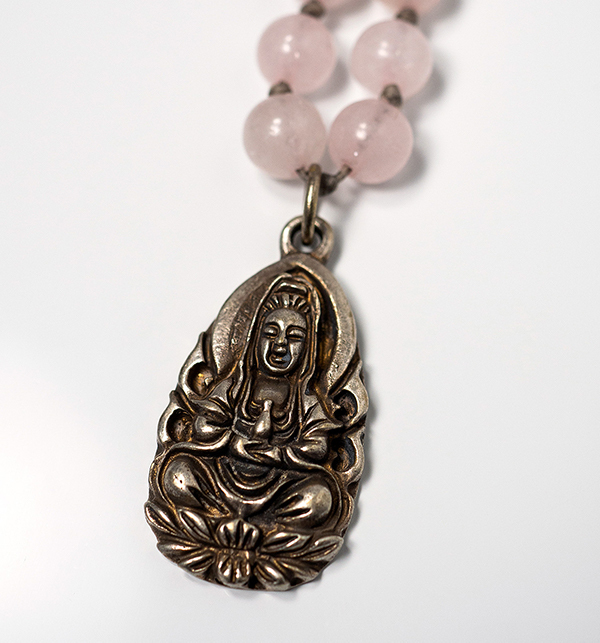 Quan Yin is Asian goddess of compassion.